Masons Island is located at the mouth of the Mystic River and faces Fishers Island Sound to the south. Information about homes for sale on Masons Island and Masons Island properties for sale can be obtained from the Bridget Morrissey Team by calling or texting (860) 857-5165. 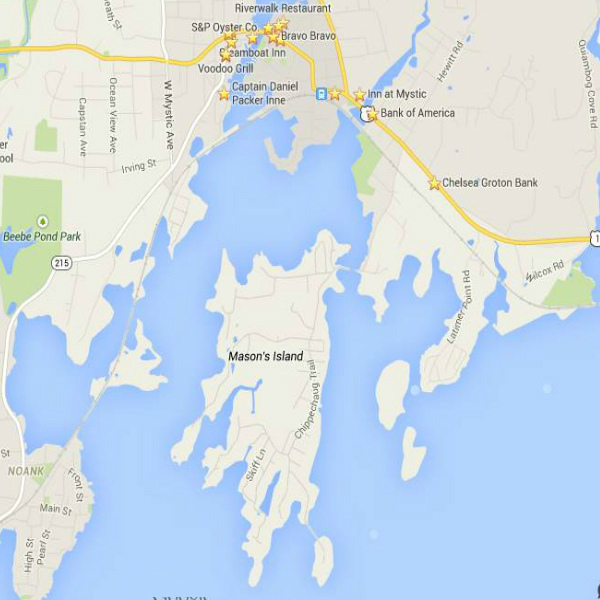 Most of the homes on Masons Island are almost 1/2 an acre, around 2,000 sq. ft and have three bedrooms. Mystic is in the backyard so to speak and the restaurants of Stonington Borough and Westerly are within a fifteen minute drive.